– How does one become a “great” spy? Shang Weiming, coming from a wealthy family in Shandong, was married by his parents to Yufeng with whom he will fall in love. At Tsinghua University, he is noticed by a fluent English. With the approval of the Party, he applied for a position at the American Cultural Agency. He is recruited and becomes Gary Weiming. After the seizure of power by the communists in 1949, this service was transferred to Okinawa. Gary sends to Beijing information and especially the American vision of the political issues of the day including Taiwan and Korea. In 1954, he went to Hong Kong to meet his contact, Bingwen, who finances his family back in China but he is not allowed to have contact with them. A year later, his department was repatriated to the United States, where he provides, in Virginia, translation services for the CIA. He met an American, Nellie, and married her with the approval of Beijing; they have a daughter Lilian in 1957. He learns from Bingwen that his Chinese wife gave birth shortly after his departure to twins. In 1961 he became an American citizen, allowing him to have a wider access to CIA documents. His life in the US is quite happy between his wife Nellie and a Chinese mistress Suzie; but he feels very painfully the lack of contacts and news from his Chinese family. The real story is that of the Chinese spy Larry Wu-Tai Chin who, like Gary, is dropped by the Chinese government and also commits suicide in prison. But Larry is an unpleasant and cynical character driven by his passion for gambling and especially money. Ha Jin did not want to write a book about Chinese espionage in the United States but became interested in the phenomenon because he was infuriated by many investigations for spying totally unjustified and based only on the origin of these Chinese-Américan citizens. – A double life, but a truncated life. “It’s unreasonable to deify a country and it’s insane to let it lord over you. We must ask this question: on which basis should a country be raised above the citizen who created it? History has proved that a country can get crazier and more vicious than an average person “(p.151). Similarly, the power of the state, of the totalitarian state, often is a matter of concern for Ha Jin, but here his hero does not accept the evidence that he is being manipulated by the State which controls his family in China. He betrayed his host country but will be betrayed by his masters. The inability to have contact with his family is a theme that finds a strong echo in a novelist who for thirty years could not return to China even to bury his mother. But Gary is even more frustrated, he can not be totally happy his wife Nellie, his heart is always somewhere else, he does not feel in his place anywhere ! A spy of his caliber, celebrated by his masters, has a high opinion of his mission which he sees more as a role in the bringing together between China and the United States; thus he can withstand the difficulties of daily life and not worry unduly about risks despite little sophisticated espionage technology. 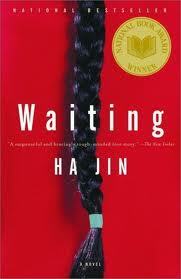 Unlike Gary, Ha Jin retains extremely firm political positions with China when his novels are censored. 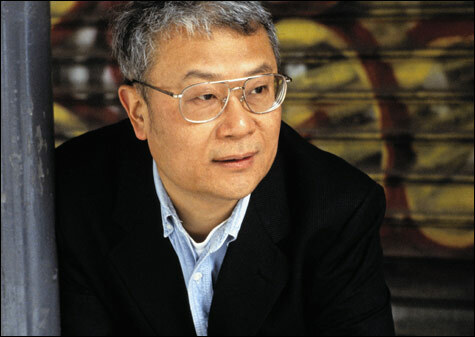 Whether Tiananmen, or the Charter 08 which he signed or the support he recently brought to Murong Xuecun at the New York Book Fair, there is no ambiguity. But Ha Jin is not an activist dissident and is not playing the spokesperson especially as he is aware of being far from modern China. This book is not a thriller; little action, no violent action, we are very far from James Bond! We appreciate a very clever composition where Gary’s life and Lilian research in China meet. 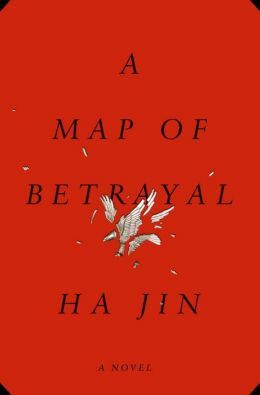 Gary’s life is told by an observer who also details the historical events (relations with Taiwan, the USSR, the USA, Korea) to which the US administration and the CIA react and which are at the center of his espionage activities. As for Lilian, she evokes her stay in China, meetings with the family and all the plagues that China is facing (pollution, corruption, situation of migrants …). 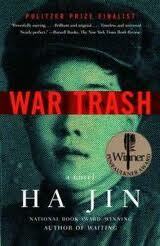 Sometimes these events are too well known to draw us; Ha Jin acknowledges that some chapters are treated a bit abstractly and lack details, feelings…Other episodes, including the Korean War, are very talented and remind us of the qualities of his novel ” War Trash “. Gary is a very credible hero: he has little interest in money and ideology; he gradually is attached to his life in the United States. He is not emotionally mature, he tries to rationalize his sufferings and he is naive with respect to the handling by Bingwen.